Besides a few sprinkles possible in our far northern counties, the rest of our overnight hours will stay dry and chilly in the mid 40s. 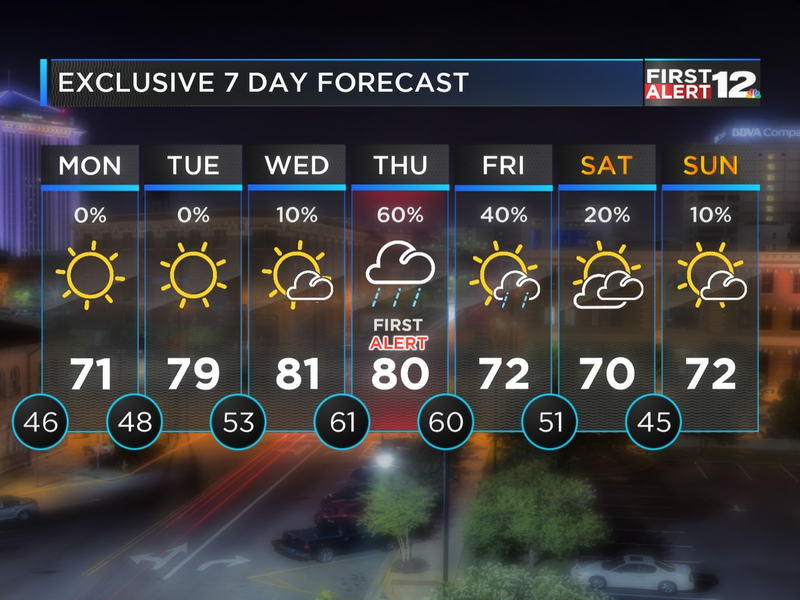 Mid 60s return tomorrow afternoon, and 70s arrive by the weekend. 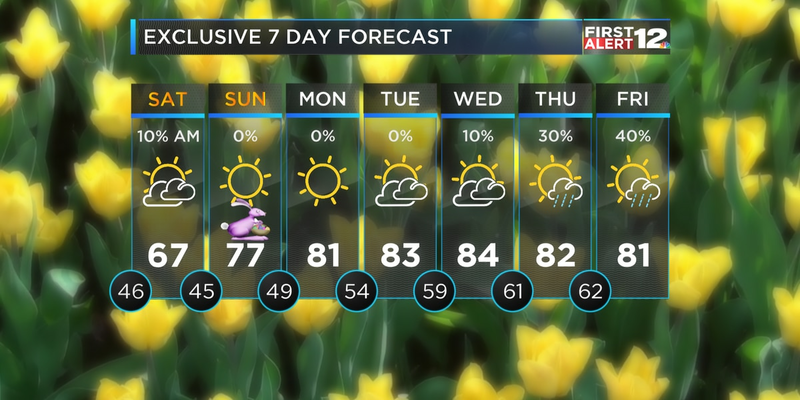 We’ll stay dry through that time-frame, but rain and storms return next week. 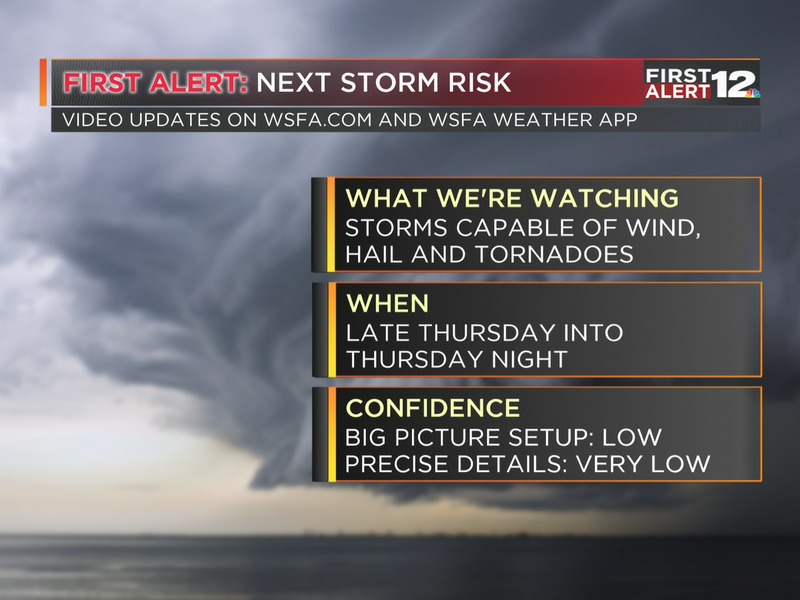 Right now we don’t see a big severe weather set-up, but we’re keeping a close eye on the start of the workweek, as every system needs to be watched this time of year.